The decision to buy new commercial real estate in Vancouver, rather than leasing space, requires the weighing of many factors, including price, opportunity for growth, building amenities, the neighbourhood, and the goals and vision of the purchaser. For IRONWORKS owners, the reasons for investing in commercial property are as unique as each owner and their business. IRONWORKS buyers have one thing in common however; they care about where they work and how that location impacts their business and employees. We sat down with one owner, Ross Hill, Managing Partner of Hills and Blue Ruby. 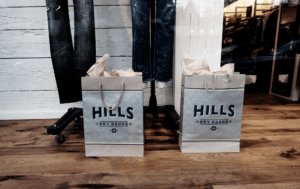 The Hill family story is linked to the history of retail business in Vancouver. That story continues today, with the purchase of an IRONWORKS flex office and warehouse space in Vancouver. Question – Tell me about your business and its history. How did the Hills and Blue Ruby brands start? Ross Hill (RH): My grandfather, John Hill, came to Canada from Ireland and became the Regional Manager of the Hudson Bay Company in Kamloops. He was then promoted to Store Manager in Edmonton. After a stint in Regina at Simpson’s, he came to Vancouver in 1943 and purchased Reeds Dry Goods in Marpole. Following in his footsteps, in 1960, my father, James Hill, and his brother purchased Kerrisdale Dry Goods and changed the name to Hills of Kerrisdale. In 1974 my father bought out my uncle, and my brother and I got involved. In 1984 we decided to expand the fashion side of the business and started Aritzia in partnership with our father. My brother wanted to take the business out east to Toronto and that freed me up to explore something new in Vancouver. My sister, Nancy Hill, and I then created Blue Ruby and opened our first shop in Oakridge Mall in 1998. 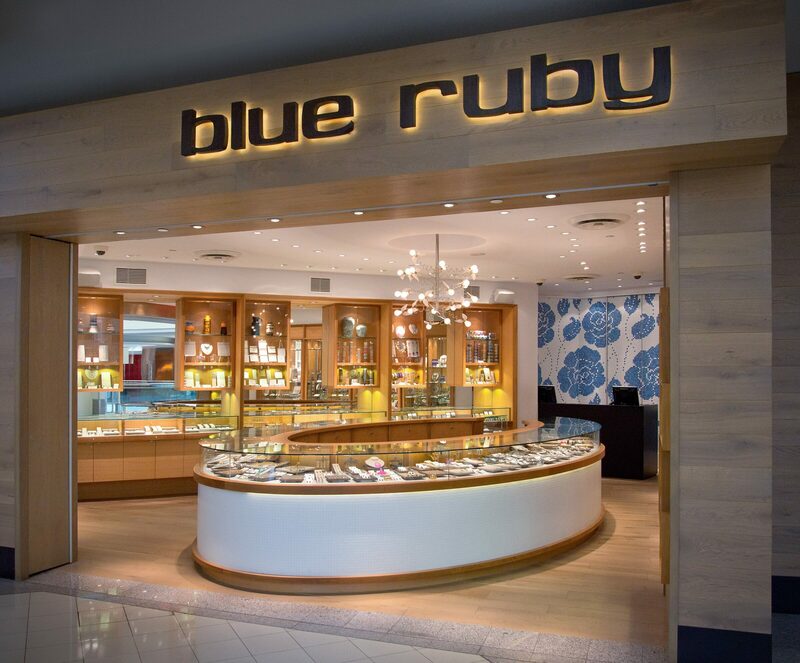 We have 7 Blue Ruby stores across the Lower Mainland. Nancy and I are now full partners in Hill’s of Kerrisdale, Hill’s Dry Goods, Ray Rickburn Menswear (opened on 4th Ave in 2003) and Blue Ruby Jewellery. In 2015 we opened a second Hills (Dry Goods) on 4th Ave in Kitsilano, and just completed construction on our third Hills on South Granville. Question – What kind of culture exists in your organization? RH: We understand that the world of retail is changing. Online sales and technology are overtaking brick and mortar in many industries. We need to stay ahead of this trend. To do this, we focus on hiring young, smart, creative people. In order to compete with other industries for employees we need to offer a compelling and desirable work environment – something special that they can be proud of. It’s important to always invest in your staff and foster a creative, forward-thinking environment. We want to create a space that feels modern, friendly and unique, with amenities that young people find appealing. Question – Can you tell us a bit about the Cause We Care Foundation? RH: My sister-in-law, Andrea Hill founded the Cause We Care Foundation – a Vancouver-based registered charity, founded to assist local single mothers and their children in need. As a company we have been heavily involved and have become a prominent corporate partner. We donate 100% of the proceeds of our Cause We Care collection to the Foundation. We were fortunate to be a part of the opening of the YWCA Cause We Care House in 2011 – a subsidized housing facility open to women and children who need a safe, affordable place to call home; helping to provide a path towards a brighter, independent future. Question – What type of space will you be using at IRONWORKS? RH: We will be building the new Head Office for Hills and Blue Ruby. We needed an office and warehouse space in Vancouver that could support all lines of our business. We will be creating a fully functioning warehouse (including manufacturing, shipping, receiving and construction), a large area for offices and potential retail frontage. The Vancouver warehouse market is limited and moving fast, and we wanted to get in NOW. Question – What makes IRONWORKS attractive in terms of how you do business and the type of space you require? RH: The area is full of young and hip creative people and most of our employees are urban focused and live in Vancouver. East Vancouver has become a creative urban centre and gives you the best of all worlds – it’s close to downtown, close to the Port, central for employees living in outer areas and has a great walkability score. We have a history of investing heavily in our retail side of the business but not in the back end. It’s time for us to switch gears and focus more on that. Another reason IRONWORKS was attractive was that we would be able to run a fully functioning warehouse and head office space in one central location. As an added benefit, the space will allow us to use up to 30% for retail. This won’t happen right away, but we believe that in time the area will embrace it. Question – What attracted you to IRONWORKS? RH: We wanted our team to have easy access to all of the amenities that East Vancouver has to offer. The neighbourhood is exciting and growing with many new restaurants, shops, breweries, etc. The area is also a bit nostalgic for the family – one of our favourite Italian restaurants, Al Ritrovo, used to be near the IRONWORKS development on Franklin. In fact, we rented the space out for my 40th birthday! We also loved the fact that there are so many other exciting businesses going into IRONWORKS. The development team at IRONWORKS has done a wonderful job in curating the space to include several local businesses. I appreciated their personal investment in finding the right businesses for the area – a buzz has really been created about the building. Question – As an entrepreneur with a successful business, if you had one piece of advice to someone just starting out, what would it be? RH: If I could offer one piece of advice to a budding entrepreneur, I would say get involved in an industry that offers growth and get to know that business inside and out. Learn every single thing you can. Get to know all sides of that business and become an expert! There are answers to all of your questions in front of you. You just need to look for them. If you are looking for commercial property for sale in Vancouver, consider IRONWORKS and create your dream business environment. Book an appointment to learn more about this uniquely-designed multi-use industrial, warehouse and office space located in East Vancouver’s Port Town.